Welcome to the future of reading! The eBook Reader.com is an organized, informative resource for everything about the world of electronic book readers, from dedicated ereaders like Kindles and Kobos, to tablets like Samsung Galaxy Tabs and Kindle Fires. As the popularity of ebooks and digital media continues to grow, so does the number of new ebook readers and tablets coming onto the market. 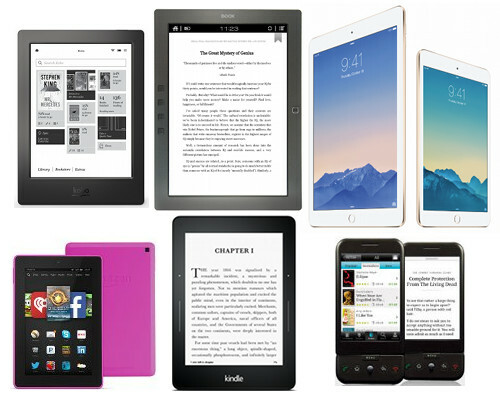 Each device offers different features for displaying ebooks and other digital content, all of which you can learn about here on this website with hands-on reviews, video walkthroughs, how to tutorials, and honest opinions. This website contains thousands of pages of information about ebook readers, ebooks, tablets, and related subjects. The best and fastest way to find what you are looking for is to use the search box below or the one located in the upper right corner on every page. Make sure to visit to The eBook Reader Blog for updates on the latest reviews, new releases, ebook reader and tablet news, as well as sales and deals for ebooks and ereaders from around the web. Portable reading devices like the Amazon Kindle, Onyx Boox, PocketBook, and Kobo eReaders all use a unique technology called epaper, which aims to mimic the look of ink on printed paper. Epaper is very energy efficient—a battery charge can last up to 2 months—and it is easily readable in bright light, unlike LCD tablets, computers, and phones. And since it isn't backlit, electronic paper is known to minimize eye strain, especially when reading for extended periods. Ever since the iPad made reading on LCD screens popular, an explosion of Android tablets marketed as ereaders have hit the market. Color ereaders and tablets are more suited for reading magazines, newspapers, children's books, comics, and web content than dedicated ebook readers with monochrome screens. As technology continues to evolve, tablets and ebook readers may soon merge into one with color display technologies like Mirasol, Pixel Qi, and color E Ink. 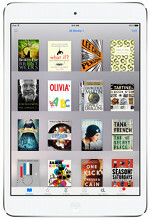 Below is a list of ebook readers as well as a few tablets marketed as ereaders. Make sure to check the Tablet section of this site to find more information regarding tablets. The ereaders below marked in gray are older discontinued models that are no longer being made but are still available in some areas. © 2009 - 2018 The eBook Reader.com. All Rights Reserved.